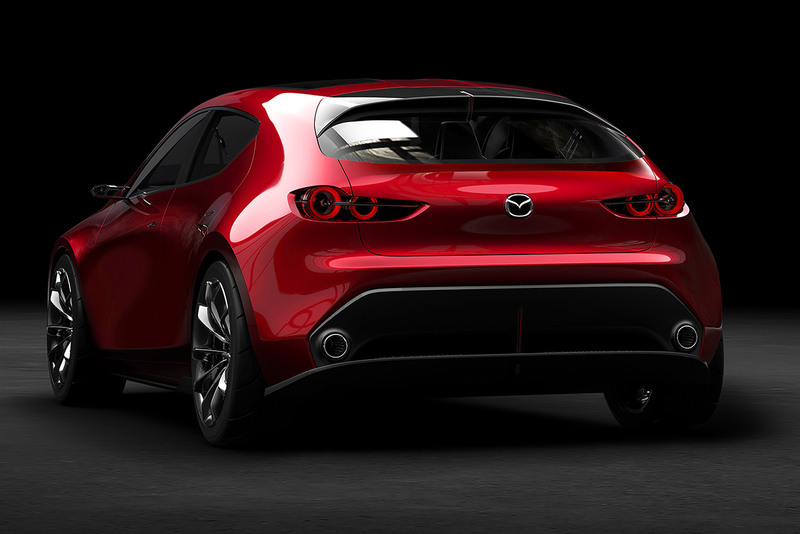 For the last few years, Mazda has been pushing its entire line into their muscular and dynamic “KODO” design language with great success. If you ask me, it’s the most distinctive, consistent, and identifiable look that any automaker has on the road today. 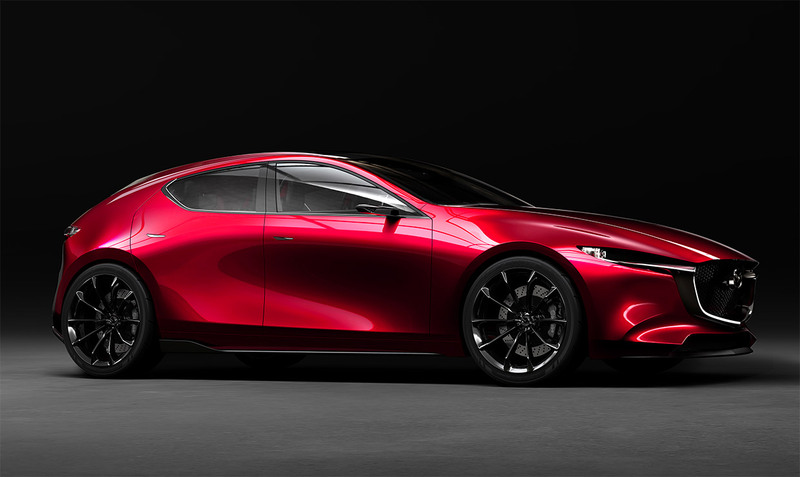 So it’s no wonder that Mazda turned up at the 2017 Tokyo Motor Show with the most beautiful concept car on the show floor. They actually brought two impressive concept cars, the Mazda Vision Coupe, a long and substantial 4-door with coupe styling, as well as the Mazda KAI Concept. The KAI features a striking, low profile, and seems like the natural next step in the evolution of the Mazda3 5-door hatch. Mazda continues to work on simplifying its lines, and this is particularly evident in the minimal rear end of the KAI. Every surface is more rounded and smooth as the sides of the car connect to the rear, though there are obvious questions about the feasibility of the design – like where the bumper and rear license plate would go. Still, I love where they’re going with the clean, edgeless and seamless look in the concept, and hope they figure out a way to produce such a design cost-effectively and meeting all the requisite safety regulations. 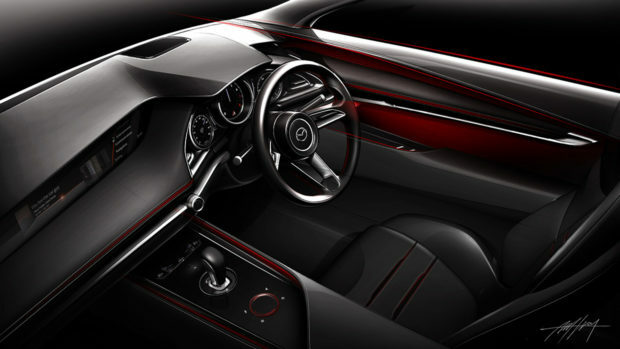 Inside, the minimalism continues, with the cabin almost devoid of distractions, and a very clear focus on the cockpit for the driver, again reinforcing Mazda’s vision of the driver and car acting as a single unit working together in harmony. Mazda says the KAI Concept serves as a platform to demonstrate the next-generation SKYACTIV-X engine and new SKYACTIV vehicle architecture. This innovative new engine would be the first to market to offer spark-controlled compression ignition, which basically offers the kind of torque and efficiency of a diesel, but running on regular gasoline. The new platform, on the other hand, is designed to improve the directness and handling of the car, as well as to minimize noise, vibration, and harshness. 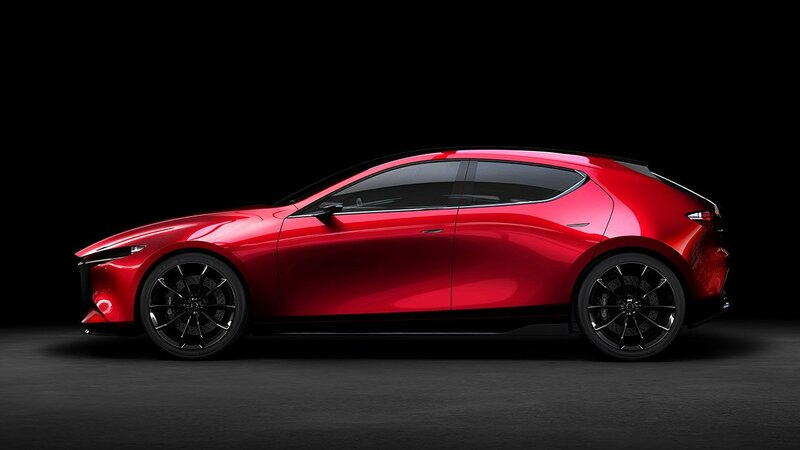 There’s no word on when the design and engineering concepts shown in the KAI will make it into a production vehicle, but it’s pretty likely that much of what we see here will turn up in the Mazda3 in the next couple of years.